Great for holidays, birthdays, and other special occasions! Gift card is only redeemable at Mike Linnig's Restaurant. Not valid at Mike Linnig's Online Store. Free Shipping. Mike Linnig's Famous Tartar Sauce. Two 16oz jars. $10.95 Shipping Charge for Each Two Jar Package. Mike Linnig's Famous Cocktail Sauce. Two 12oz jars. 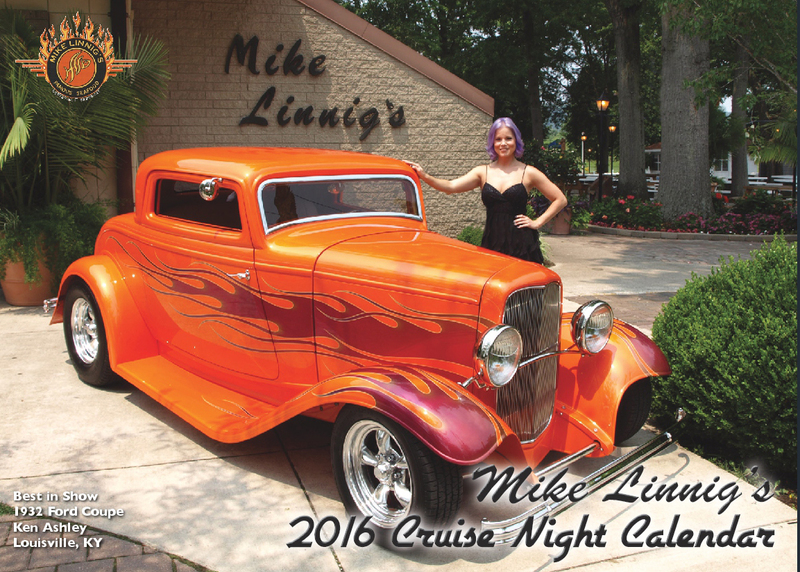 Mike Linnig's Cruise Night 2019 Calendar features the winning cars from our 2018 car shows. Comes with $12 worth of coupons at our restaurant. Net proceeds benefit the Crusade for Children. Amount to be charged is zero. Please complete all the fields in the form before sending.